WOW! 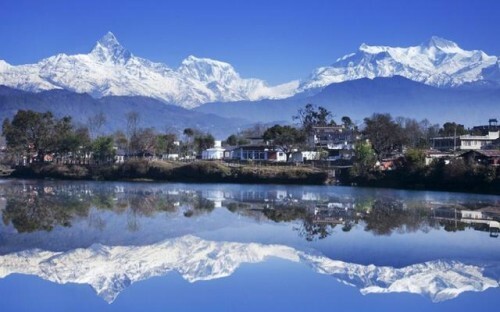 Super cheap flights to Nepal: Kathmandu for only €235! If you want to visit beautiful Nepal we have an amazing deal for you! Return flights from Riga to Kathmandu are now available for only £211 / €235! This seems to be an OTA specific misprice error fare so you better hurry up and book your tickets fast! Travel dates are from November 2018 to March 2019. Flights are operated by Air Baltic and Air China with 2 stopovers. Getting to Riga is easy with cheap Air Baltic, Ryanair or Wizz Air flights from any corner of Europe, use Momondo or our search on the right side to find a connecting flight. 23 kg luggage is included in the price! Hurry up and book your tickets now! Kathmandu is not expensive but you should check the prices of accommodation there to find the best deals and not spend extra money. The quality of accommodation can vary a lot though. You can also save money if you book with this Agoda promotion code (8% discount). « Annoying 100 ml liquids airport limit could end soon – new 3D scanners being tested!